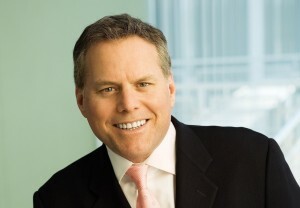 A strong international performance helped Discovery Communications to post increased revenues, though net income dropped by 13% compared to last year. Announcing its full year and fourth quarter results, Discovery reported Q4 revenues of US$1.67 billion (€1.47 billion). This was up 9%, over the fourth quarter a year ago, led by 17% growth at International Networks, with Discovery’s US networks growing by just 1%. Fourth quarter net income came to US$250 million compared to US$289 million in Q4 2013, which Discovery attributed to higher restructuring costs and lower equity earnings. “Despite a more challenging US market and significant foreign currency headwinds, our content portfolio once again drove audience gains and boosted our market share around the world,” said David Zaslav, president and CEO of Discovery Communications. Internationally, Discovery said that in Q4 distribution revenues were up 24% and advertising revenues were up 7%, though changes in foreign currency exchange rates reduced fourth quarter international revenue growth by 10%. Discovery took a controlling stake in Eurosport International in May 2014, which was listed as a ‘newly acquired business’. First quarter results from SBS Nordic were also new, as Discovery acquired this in April 2013. Earlier this week, Discovery said that its portfolio of international channels reached 654 million viewers in Q4, a 4% year-on-year increase and its highest-ever international reach. Announcing the figures ahead of its earnings announcement, Discovery said it had a “record-setting quarter and year” with its channels and brands receiving a 10% full-year increase in average audience compared to 2013. In Q4 alone its average audience increased by 13% year-on-year to 3.2 million.